Fertility Massage Therapy ™ is an extremely effective yet nurturing and gentle blend of ancient mayan healing and cutting edge modern techniques of bodywork which when combined allows the body to improve any issues relating to the Reproductive and Digestive systems and also the lower back , which can be highly effective at improving fertility and also any issues relating to these systems. ~ Improves ovarian function, egg quality and ovulation. Fertility Massage Therapy ™ can be an excellent when preparing your body for having a baby, and works well along side both natural and assisted conception such as IVF, ICSI, IUI, egg or sperm donation. 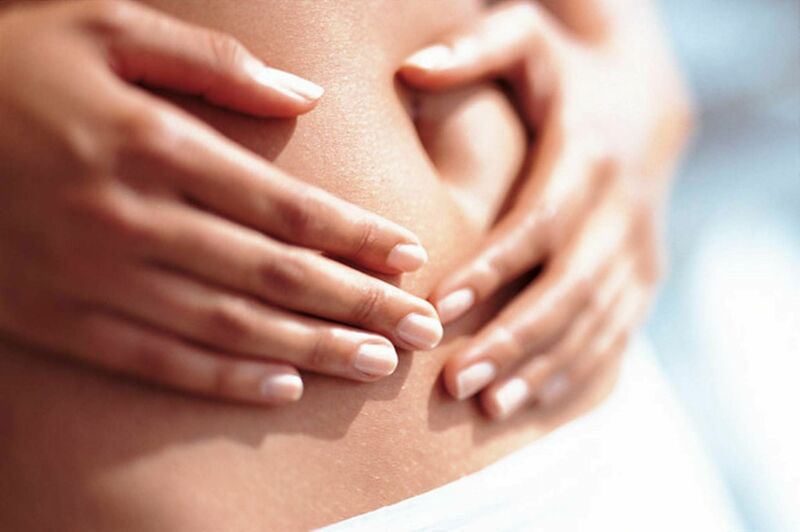 Fertility Massage Therapy ™boosts circulation to the vital and reproductive organs within the Endocrine and Digestive system and promotes hormonal rebalancing encouraging healthy blood flow. It will also assist the womb to release old or stagnant blood plus any scar tissue will be massaged and encouraged to gently break away and heal. Fertility Massage Therapy ™ can also have an extremely positive effect on balancing strengthening immune system as the physicality of the massage encourages lymph drainage to work more effectively which builds immune response from within the body. 80% of our immune system lives in the gut, and as immunity, digestion and fertility are linked, it is important to work this whole abdominal area. It is a beautifully relaxing non-invasive treatment which is personally tailored to each individual and may involve massage and release work on the lower back, sacrum, abdominal and pelvic areas of the body . The aims are to facilitate the ideal positioning of the womb, enabling the natural flow of energy and blood. It is a gentle yet deep treatment that addresses a number of areas of tension, breaking down scar tissue, alignment and congestion whilst bringing the hormones into balance. Massaging the sacral and abdominal area can release congestion of the nerves at the point they exit the sacral bone. In doing so the nerves supplying the reproductive system are not obstructed, Lymph flow is improved and toxins will also be flushed. During the massage, a number of techniques such as “pulsing”, “rocking”, “flushing”, “vibration”, “sound energy” and “deep holding” may also be used as scar tissue is broken down with the aim of releasing hardened waste material that has accumulated in the gut over many years. This encourages a natural movement within the gut, clearing physical and emotional blockages. The gentle and nurturing “Pulsing” encourages the connected fascia which wraps around muscles and organs in the body to gently release any trapped tension. Some visualisation work may also be used along with connecting you to your body as many women are not connected to their body , especially if they have been experiencing disappointment (upon receiving their monthly bleed ), in monthly pain with their cycle or even due to past painful experiences (such as a difficult childbirth). Whatever your fertility journey you will probably have been told “you’re more likely to get pregnant if you stop stressing about it”. Whilst this may be true it can be hard to put into practice. Allowing yourself time out and getting back in touch with the natural cycles of body can be a great way to relax, ease tensions and support yourself in your journey. Here are some independent research papers and pieces of external info which are not only interesting but also validate the effectiveness of this wonderful therapy.